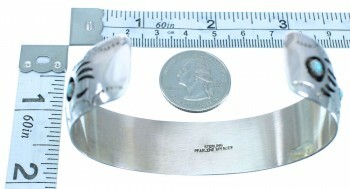 The inner bracelet circumference measures approximately 6-1/8", plus a 1-3/8" opening, and 1" at widest point. 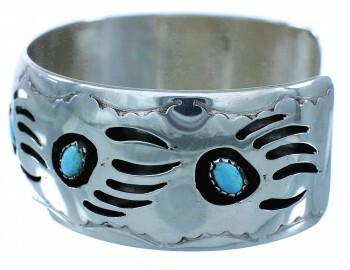 This gorgeous bracelet is absolutely distinctive in each and every way! 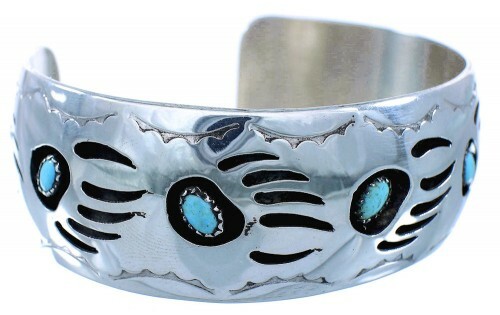 This piece of Native American jewelry is Navajo hand crafted by artist Pearlene Spencer, out of genuine sterling silver and real Turquoise stones. The bracelet has a total of SEVEN stones that are gently set in a hand cut shadow box bezel setting, while placed in magnificent bear paw designs. Hand cut bear paw patterns and imprinted designs add style and complete the bracelet to perfection! 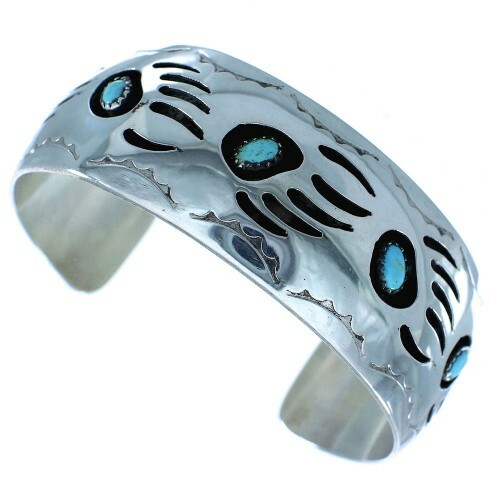 In Native American beliefs, the bear paw is usually considered a way to call for the power of the animal spirit, or as an indication of the presence of the spirit. 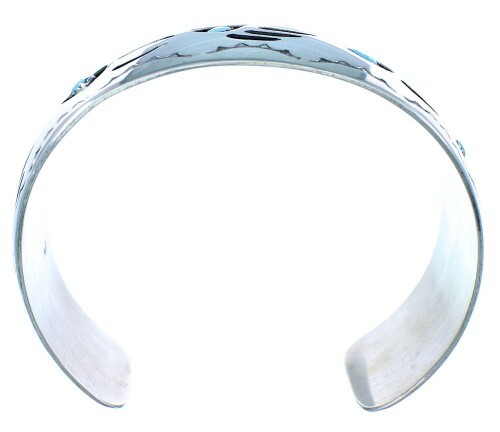 It is a symbol that represents inner strength. The bracelet is stamped sterling and is hallmarked by the artist.